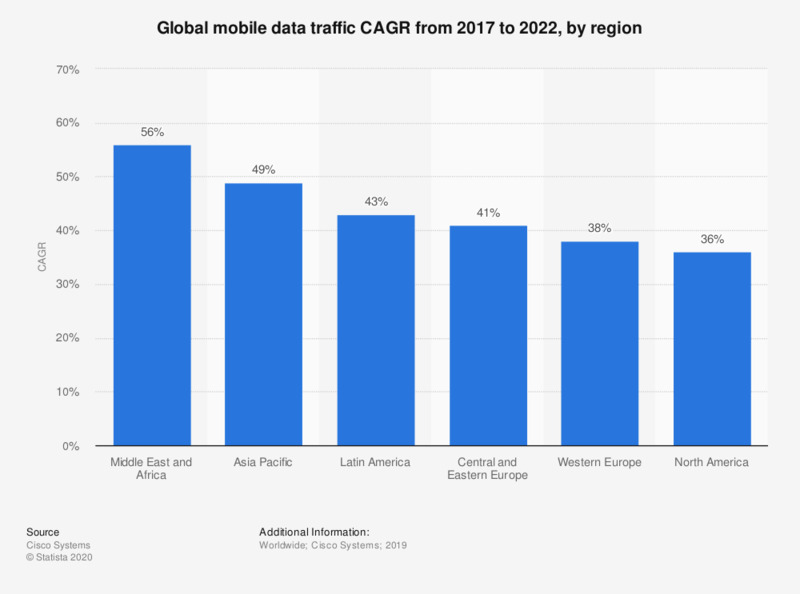 This statistic gives information on the compound annual growth rate of global mobile data traffic from 2017 to 2022, sorted by global region. In this period of time, the mobile data traffic CAGR in Asia Pacific is projected to reach 49 percent. North America's CAGR from 2017 to 2022 is expected to reach 36 percent.